This should probably be at the top of the list because the results of cyber-bullying can lead to a lot more than regrets, job-loss or embarrassment. It can lead to Death! Wikipedia defines it as the use of information technology to repeatedly harm or harass other people in a deliberate manner. “That may be posting rumors or gossip, but it can elevate to personally identifying victims and publishing material that defames and humiliates them. Suicide is the third leading cause of death among young people according to the centers for Disease Control and Prevention. That’s about 4,400 deaths every year! And that doesn’t include the 440,000 suicide attempts that were unsuccessful. I was appalled at those numbers, and when I read the Cyber-bullying stories online at NoBullying.com, I was even surer of my stance against cell phones for young ones. Many suicides have been the result of cyber-bullying. 4% of the teens polled said they had arguments which started out online from a post but ended up turning into a physical fight. This may not sound like a large number, but when you consider that 43% of teens aged 13 to 17 reports being a victim of “cyber-bullying” in just the past year, you can see how large 4% can actually be. It’s sad but common. I encourage you to talk to your child about this online form of abuse and how dangerous it can be not only to them, but to those they may harm with an off-handed comment or an unauthorized picture post. Once online, it’s there forever- even if they think they’ve deleted it. Because I’m a mom as well as a Sociologist, I was not surprised to learn that all this media time we’re allowing our children to engage in is harming their ability to socialize in real one-on-one interactions. A study published in the journal Computers in Human Behavior, found that 6th graders who went five days without exposure to technology were significantly better at reading human emotions than kids who had regular access to phones, televisions and computers. It goes on to explain that this finding should be a wake-up call to schools to make sure they’re not just shoving iPads into student’s hands as a teaching method. Instead they need to make sure they’re getting real face to face social interaction and less screen time. I like how Pediatrician Marjorie Hogan said it, “common sense tells me that if a child is laying on his own bed and texting friends instead of getting together” there’s a problem. The research goes on to indicate that screen time can have negative effects on kids ranging from childhood obesity to irregular sleep patterns and social/behavioral issues. It makes sense if you think about it. You don’t see kids running around bases or kicking a soccer ball in the net while holding a phone and texting or face-timing. They’re busy exercising, playing social sports and more. Several studies have linked frequent cell phone use to lower grades and unhappiness. One study was from researchers from the College of Education Health and Human Services at Kent State University in Ohio on under- graduate students. They linked cell phone usage levels to GPA scores and anxiety levels. The higher a student’s cell phone use, the lower the grades and the higher the anxiety. Many schools ban students from bringing in cell phones. Since most cell phones are able to look up information online, and can double as calculators and cameras; the ways that a child can use them to their advantage are numerous. It seems that texting has become the new way to “pass notes” in the back of the class. Even if your child isn’t cheating with his cell phone, if he or she is using it, then they are not listening to the teacher, therefore adding one more distraction to their learning experience. 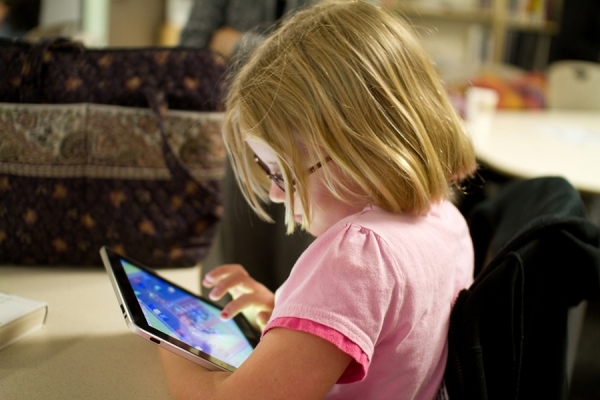 So, Should Your Child Have a Smart Device? Hopefully these 5 points have given you some things to think about when deciding why it may be a good idea to wait on giving your child a smart phone. Otherwise, how long you wait depends on many variables and every family is different. In my house it will depend on the maturity level and responsibility that my child exhibits. It will also depend on costs as I feel owning a phone is a privilege and not a right. So when she does get a phone, she will have to purchase it herself with her own money. She will have to pay the monthly subscription service. She will sign a contract with her Dad and I that she will not go over in texts or minutes that we set for her and that it will be used appropriately. Lastly, she will know there will be a parental app that will be monitoring her incoming messages, calls, photos, texts and social media posts. AND we will have all access codes and passwords. This includes her social media accounts as well. If she breaks our trusts, she will lose the phone. Obviously as she gets older, the privacy restraints will be lifted as one day we realize she’ll be off to college and able to do many things without her parent’s knowledge…but until then, the same rules that applied while I was growing up will apply to my children. I hate to say it, but there is a lot of merit in the “As long as you live under my roof, my rules apply” standards. Whatever you decide, keep in mind that we all only want what’s best for our children. They don’t have to always like us for it, but I guarantee one day they’ll look back and love us for it! Pew Research Center- Berkman- The Berkman Center for Internet & Society at Harvard University- March 13, 2013. 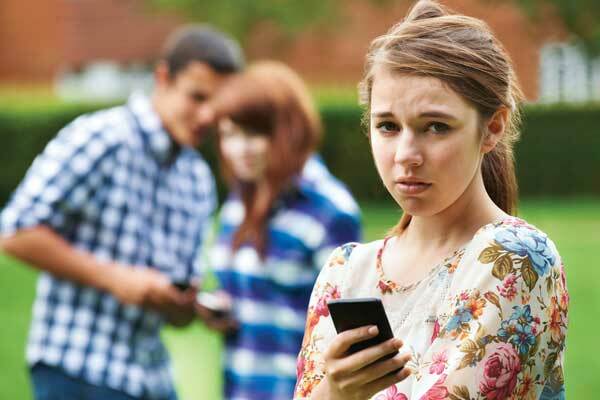 2014 Teens and the Screen study: Exploring Online Privacy, Social Networking and Cyberbullying.